More and more people suffer from sleep deprivation and it is not just affecting their health but their performance at work or school and their relationships with the people around them. The majority of the population no longer listens to their internal body clock that is supposed to direct their body on the normal sleep-wake cycle. Back then people retire to bed once the sun sets and arise when the sun rises but it is not the case in our modern life as it can still be as bright and lively as the day because of the many technologies that we have and therefore distract us from sleeping. However, take note that there are negative consequences to your frequent all-nighters and it will take its toll over time. We may not realize it now but out continued deviation from our body’s normal circadian rhythm have a lot of negative implications for our health. Frequent long flyers and shift workers are at risk. Obesity is not just the only complication to the latter but it likewise puts you at higher risk of more deadly and debilitating conditions like cancer, diabetes, heart disease, and even cognitive decline associated with dementia. Medical experts are worried that people will die earlier if they keep up their current lifestyle where they often lack sleep or not sleep during night-time, which is when humans should be asleep as designed by nature. Sleep has a powerful effect on the immune system, which is why, when we have flu, our first instinct is to go to bed: our body is trying to sleep itself well. Reduce sleep even for a single night, and your resilience is drastically reduced. If you are tired, you are more likely to catch a cold. 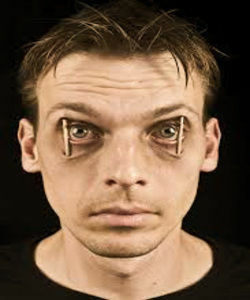 Sleep deprivation evolved to become an unspoken epidemic that affects most of us on a daily basis. Our preoccupation with technology, longer working hours, more stressful times, and basically our perception that sleeping is for the weak must all change if we want to live longer and healthier lives. However, it is not only an endeavor that must be taken by a single individual or a small group but as a community as a whole with the intervention of the government and major institutions. Laws must be put forth to regulate working hours, for starters, and that is just the beginning. Yet, we can only dream of such a thing to happen as we all know how toxic our society has become. Hence, the will to change must start from ourselves and make it a point to get that 8 hours of sleep each night. It’s the only consolation you can offer your tired body after laboring so hard the entire day. Everything else can be set aside for the following night, even that shiny and glowing screen of your smartphone and your so-called active online social life.